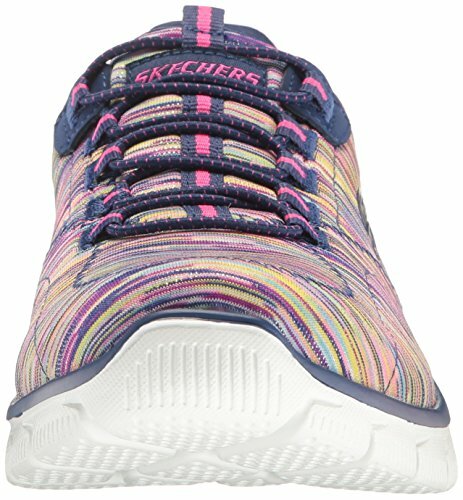 I’m with you,a great comfortable colorful low cost well made shoe,had to buy anther pair for daughter in law. 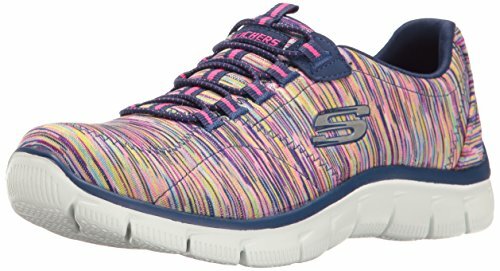 I love Sketchers. They are an amazing shoe. I have back problems but I can walk in these forever. The make is fantastic and the colors are fun. These shoes are absolutely amazing!! I got mine during a special this year when they were buy one pair get the second half off. I wish I could have ordered all the colors because the two pairs that I did find are pink and a slate blue. The pink is gorgeous and not at all too bright and the blue is just beautiful. 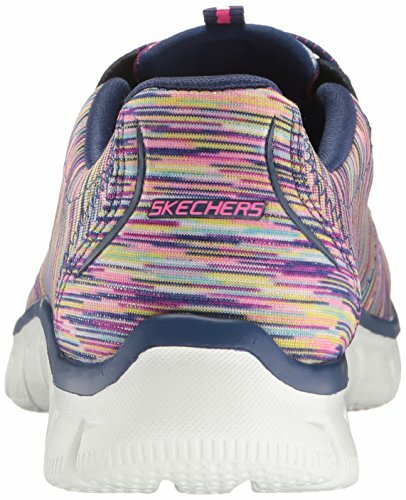 The marbling in the colors makes the shoes look unique and stylish. They are also the most comfortable shoes I own. They have memory foam that conforms to your feet and the sizing is perfect. The shoelaces are another awesome detail, because once you get the shoe to fit you like you want it to, you can just grab them and slip them right on. Everyone always asks me where they can find them and I get compliments from people every time I wear either pair. You should definitely make sure that you aren’t getting the relaxed fit if your feet are small and narrow like mine. The relaxed fit is for people who have a wider foot and will be too big. If you have a wide foot or normally buy your shoes in a wide fit, the the relaxed fit is perfect. My daughter wears the relaxed fit and she loves her pair just as much as I do. If you are looking for a comfortable pair of shoes that look awesome, you should definitely get a pair of these!!! I’m going to order the two colors I don’t have right now!!! katlynray8 has just earned 686 MPS points from a SILVER chest! vamplady24 has just earned 726 MPS points from a SILVER chest!